"Brings a finish to your cheeks to rival that of the greatest of muses. Cheek colour that allows you to enjoy freely mixing four different colours and textures. 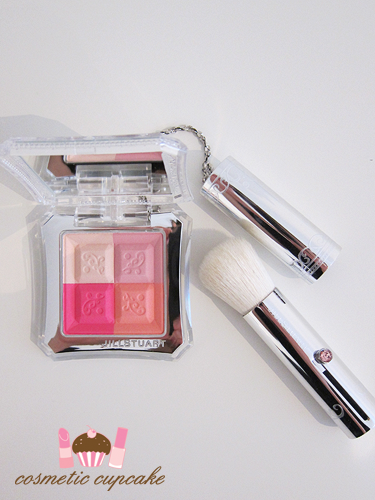 A quad powder blush with pure luster that blends smoothly and adds a touch of soft colour to your cheeks." 13 Milky Strawberry consists of four shades - a highlighter shade, a light mauve, a bright pink and a light tangerine. 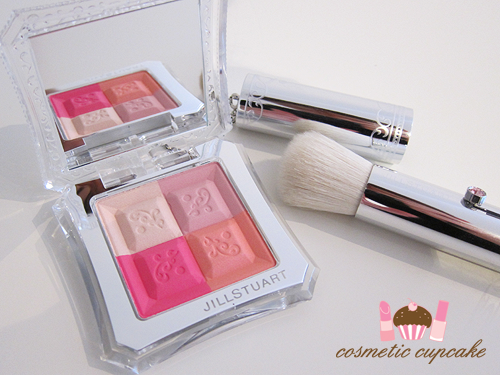 The beauty of the Mix Blush Compact is that you can use the shades separately or buff them together. 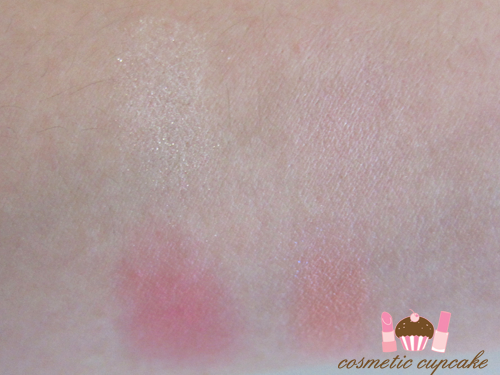 The pigment is quite sheer though so I'd say it's best to wear the colours buffed together. Because it's sheer though you can build up the intensity which is great. You can't go overboard that way! 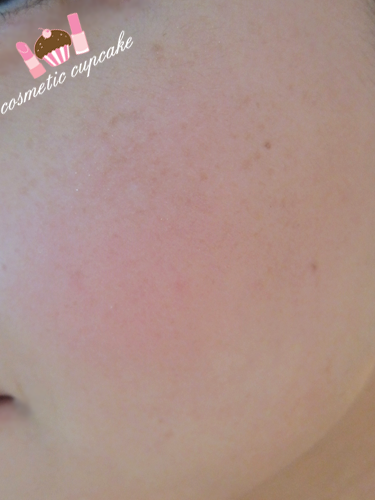 It just gives a beautiful soft glow to your cheeks and lasts all day. My swatches aren't the best sorry! Below I've swatched the colours individually. It's packaged in the stunning signature Jill Stuart style with a special retractable brush made from 100% natural goat hair that's attached to the compact for ease of use. 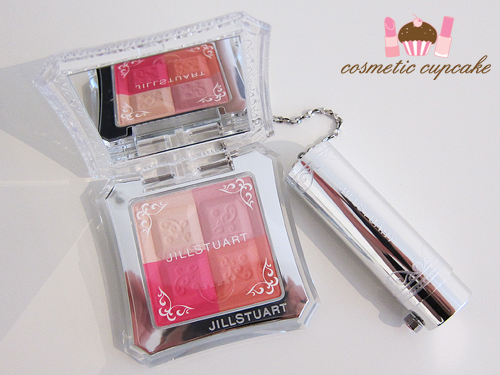 Details: Jill Stuart Mix Blush Compacts are available in 9 core variations with limited edition releases from Jill Stuart counters in Hong Kong for $370HK; in Taiwan for $1300NT and in Japan for 4500¥. Aussie ladies, you can actually purchase this from Yesstyle.com.au for $62. Thank you to Melissa for this info! 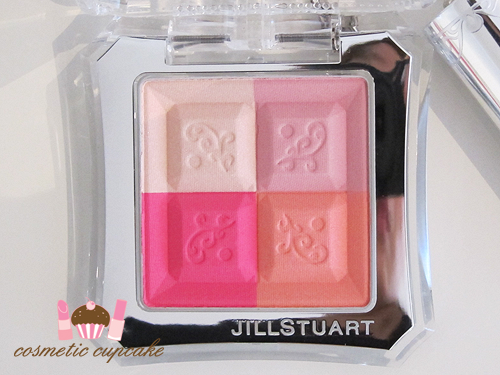 I am DYING to try more Jill Stuart products! Have you tried her beauty products before? What would you suggest? That is adorable! I'm not much of a blush person, but I would get that just cause it's so pretty! 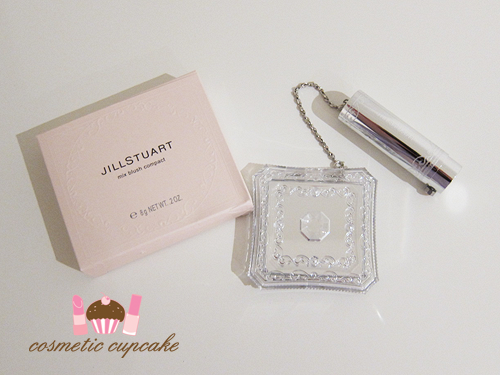 Jill Stuart has such gorgeous packaging, and that brush looks oh so soft. Will one day get my hands on something like this! but can imagine, mine was in the package long too. but once you try you never stop! and very nice color choice :)!! Gotta love how beautiful Asian cosmetics are! What a gorgeous looking blush. Gone. On. To. The. Wishlist. Immediately! 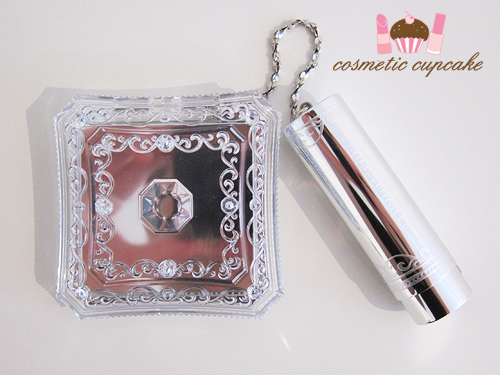 ;) Love the pretty compact & cute brush with it hun! Aw it's so beautiful! I'd be too scared to touch it hehe. The colours look lovely on you!